2. 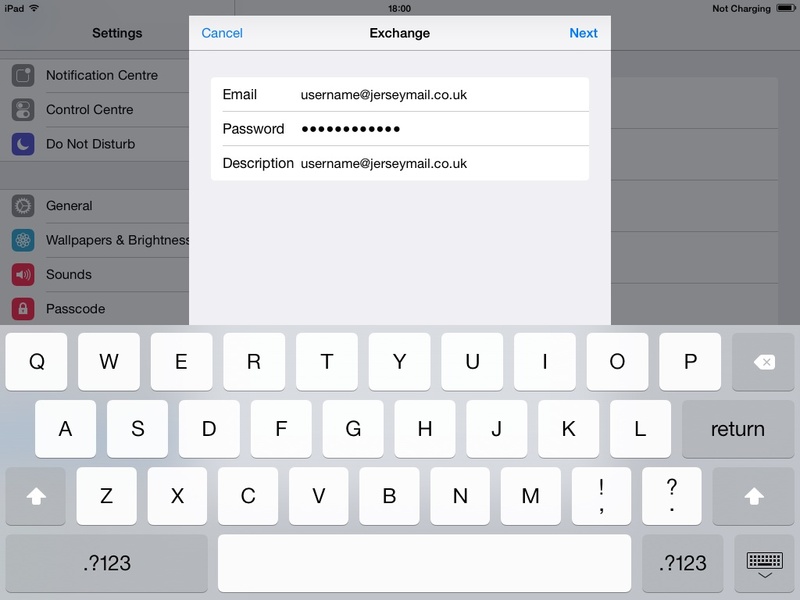 Tap Exchange then enter your Name, Email address and Password as shown below then tap next. 3. You will then be prompted with a screen asking you what items you would like to sync with your email account as shown below. Select the options you would like to use then click save. 4. 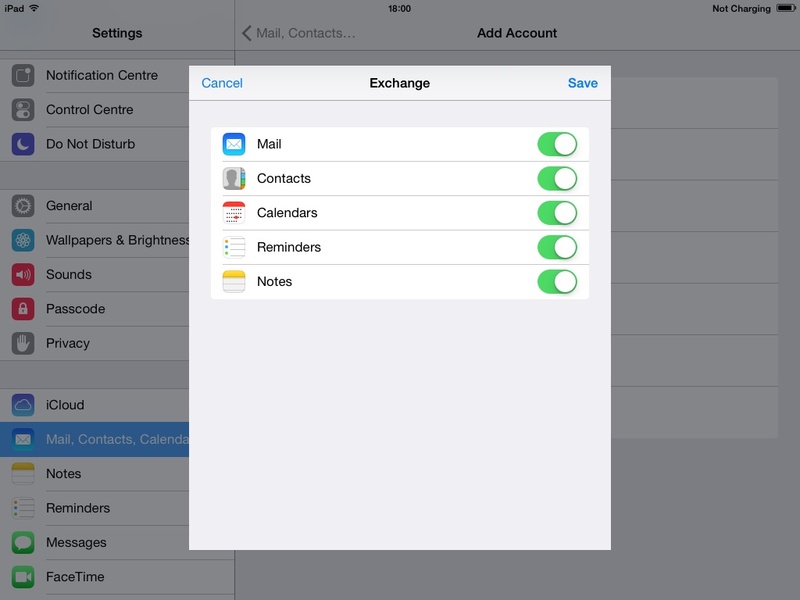 By default, Apple devices will check for mail constantly which will ensure you are notified of new mail in the fastest possible way, however this has a heavy impact on battery life. In order to conserve battery power it is usually advisable to instruct the phone to either retrieve mail on a 'Fetch' basis (every 15 minutes, every 30 minutes or even hourly) or on a 'Manual' basis whereby it will only check when you open the 'Mail' app. 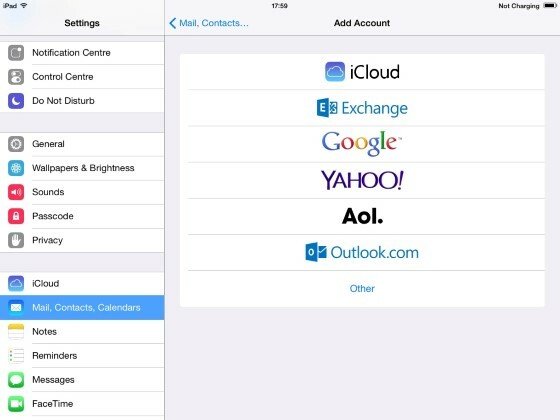 You will find these settings under the 'Fetch New Data' menu in the 'Mail, Contacts, Calendars' menu.